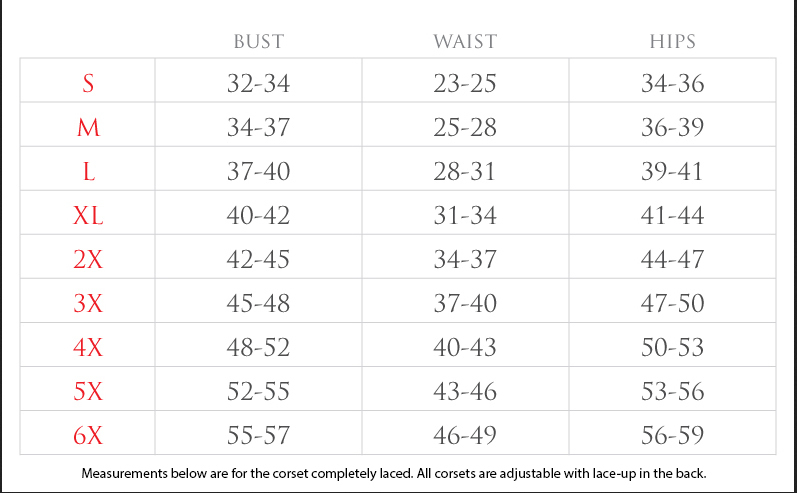 Please measure yourself carefully and compare your measurements to the size chart below before purchasing. Measure without any clothing on or with tight fitted clothing so as not to interfere with measurement. 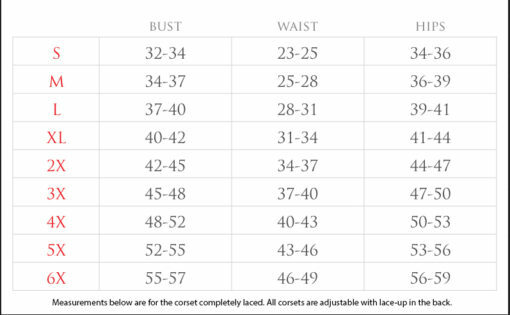 Bust – Measure at the fullest part of the chest, pulling the measuring tape as tight as possible without changing the shape of the breasts. Arms should be relaxed hanging naturally down to your sides.